The easiest way to listen to Australian radio on your smartphone. RadioApp has 250 Australian radio stations in one very easy to use app. Find local stations near you and around Australia. * 250 AUSTRALIAN RADIO STATIONS - listen to live streams of local radio, music, talk, sport and much more. New stations are being added all the time. * AS EASY AS LISTENING IN YOUR CAR – quickly set up your favourites and get them every time you open the app. * CHANGING STATIONS IS SUPER QUICK - just swipe and press play to change stations and the next station will begin to play instantly. You can swipe through 270 Commercial, ABC, SBS and DAB+ digital radio stations from across Australia. * SELECTING YOUR FAVOURITES IS EASY - simply allow RadioApp to access your location or enter in your postcode, and it will display your local stations first. Select as many favourites as you wish by pressing the heart button. Then swipe to flick through your list of favourite stations or browse through all stations. * VIEW RECENTLY PLAYED MUSIC - you can view the songs that have just played on your favourite music stations. * MORE CONTROL - you can control RadioApp & change stations via your iPhone’s lock screen or Bluetooth speaker. * SLEEP TIMER - this useful feature allows you to fall asleep to your favourite radio station. You simply press play on your station of choice, go the 'More' tab and ‘Sleep’. At the end of your nominated time, RadioApp will automatically stop playing allowing you to get your precious sleep whilst stopping your battery from draining. * ALARM – notifications allow you to wake up to your favourite radio station. In the ‘More’ tab you can set an alarm time with the ability to repeat on multiple days of your choice. It also includes the option to snooze. * APPLE CARPLAY READY – RadioApp also works in your car via Apple CarPlay support. * LOW MOBILE DATA USAGE - RadioApp uses less data than Facebook, YouTube or streaming TV. On average each station uses under 20mb of data per hour. * EVEN MORE LISTENING OPTIONS - RadioApp has 250 Australian Radio stations including your favourite local and national FM, AM and DAB+ only stations. You can listen to stations such as: Nova, Triple M, KIIS, 2GB, Triple J, SBS Radio, Smooth, Fox FM, Power FM, ABC Local Radio, Hit FM, 3AW, SEN 1116, WSFM, Mix, SBS PopAsia, 2Day FM, Sky Sports, Gold 104.3, 4BC, Macquarie Sports Radio, Double J, Sea FM, Mixx FM, Kix Country, Star FM, 97.3fm, ABC RN, Hot Tomato, Classic Rock Radio, i98fm and many more. Why do we need sign in? It helps us better understand how RadioApp is used to improve the app and help stations better their shows. We don't on-sell your information. Thanks! RadioApp. Your radio, wherever you are. -Logging in - some users have reported having trouble logging in to RadioApp via Facebook. Now fixed. -Chromecast – we’ve fixed a bug where RadioApp had issues finding your Google devices to cast to. Your favourite live Aussie radio stations and shows are all back for 2019 and ready to stream. Thanks as always for your feedback – contact@radioapp.com.au. You can also check out our new website – radioapp.com.au. This radio app is probably the best one I’ve tried. Previously I was testing TunedIN and it just would load and work on Apple CarPlay. Today I tried out the Radio App and it just works first time and perfectly on my BMW’s wireless Apple CarPlay, and with the split screen on the iDrive the song cover pictures comes up too on the side, awesome. It’s easy to navigate, interface looks great and the sound quality is good too (in terms of clarity). Came to this app from Tune In and this is heaps better. Fast to load and the fact it reloads after a message or phone call is good. That isn't good though if you don't want it to. Needs an option to disable that. Also needs the ability to chose the audio output, don't have any way to divert the feed from a Bluetooth speaker back to the phone speaker so you can have uninterrupted listening. 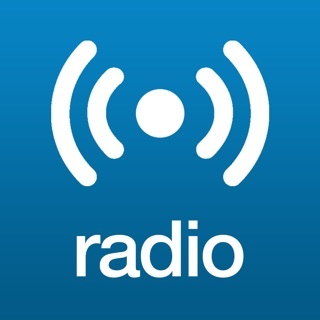 The Radio app is Australia radio answer to TuneIn. With out the time lapse and recording function that's ok it's instant connections to the radio stations is fair enough, it even shows the current song being played and can be connected up to Apple CarPlay car head units. All my Fave fm stations are featured on this app from Brisbane, Gold and Sunshine coasts. The icon for this app for the iPad does not work for this app it's blank needs to be fixed.